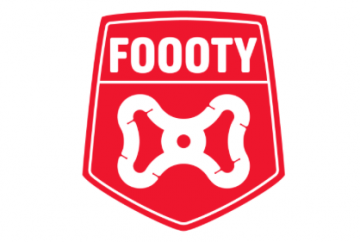 The ingenious football by Foooty is definitely worth an extra 'Oh' in the name. The corruption of the word Football made Footy extremely popular on the internet. Footy is now a very common word among football fans. The designer of the Foooty folding football just added an extra 'o' to the brand name. This ingenious football is definitely worth an extra 'Oh'. Jean-Pierre Raes is the founder of Westerlab in Amsterdam. Westerlab is a co-creation platform that helps develop and implement new ideas. Especially ideas with a positive impact. Jean-Pierre, JP to close friends, very much loves inventive products with a social character. Products that bring people together and foster creativity. 'Cause that makes life more enjoyable and helps spread happiness," says JP. JP himself is still a playful child and likes to actively play with his kids. During several trips, they either forgot or lacked a ball to play with. This started to get on his nerves. He called on industrial designer Lard Breebaart of creative agency Natwerk in Amsterdam to help him, and so the idea of ​​a collapsible ball was born. And with the idea of ​​the folding ball, Foooty was created. In early 2016 JP started a fundraising campaign with a good marketing story and handmade Footies. The challenge was to get enough seed money through crowdfunding in order to make the die-cut for the shape of the Foooty. And it was a success, because after six months the production was in full swing. The first batches of FOOOTY have already rolled off the production line. A Foooty is made from 100% recyclable polypropylene. Polypropylene is an odourless plastic with high-impact resistance, which is safe to use for children and adults. This material is very tough (elastic but strong) so you can endlessly expand and turn a Foooty without breaking or stretching it. The BetterFutureFactory has commissioned to continuously investigate how the sustainability performance of the Foooty can be improved. For instance, they investigate how bottle caps can be reused to make Foooties.